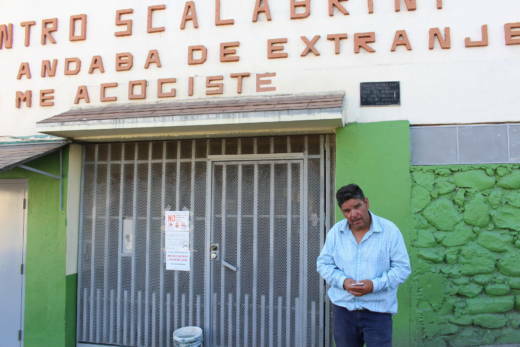 At a migrant shelter in Tijuana, Mexico, less than three miles away from the metal border fence, Sergio Saucedo, 47, was reeling from his deportation from the United States, where he had spent over half of his life. Three days earlier, U.S. immigration authorities had handed him to their Mexican counterparts at the border crossing, Saucedo said, with just the clothes he was wearing and some paperwork from his deportation. When Immigration and Customs Enforcement agents arrested him in Los Angeles, Saucedo said he didn’t have his wallet or cell phone. Now, he wished he had enough money to call his children, back home in California. The experiences of recent deportees like Saucedo highlight ways the Trump administration has reshaped immigration policies affecting hundreds of thousands of people. Under President Trump, the federal government stepped up deportations of non-citizens without criminal violations, and rejected more asylum applicants than in any year in the last decade. Such changes, ordered by Trump during his first weeks in office, are in stark contrast to immigration enforcement under the latter years of the Obama administration. Mexicans deported from California often end up first in Tijuana, a city local leaders say is absorbing thousands of deportees and also migrants from other countries who were drawn to the U.S. border. 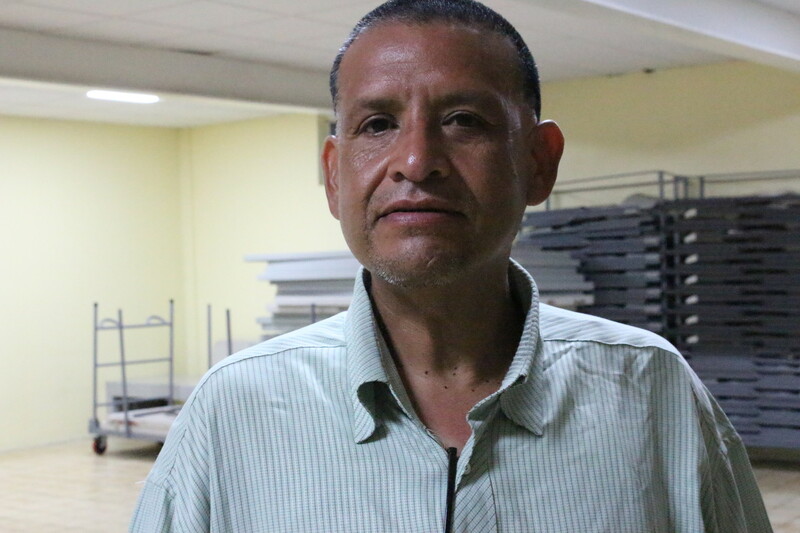 Every day, Casa del Migrante provides shelter and meals to about 120 people, said Gilberto Martinez, who manages the Catholic non-profit which opened its doors in 1987. In recent months, Martinez is seeing more deportees who have a long history in the U.S. and no significant criminal records. Most of the immigrants deported last year after living in the U.S. do have a criminal conviction, according to ICE, but immigration officials are also deporting thousands more people with no criminal records. Among ICE detainees with convictions, the most common offenses were traffic, drug and immigration violations. As the Trump administration has broadened its scope for immigration enforcement, ICE agents are detaining unauthorized immigrants in community locations including at courthouses. That’s where Saucedo said he was arrested by ICE. Back in July, Saucedo was eating at a fried chicken restaurant in Long Beach when a fight broke out next to him, he said. The police officers who arrived at the scene also detained him, possibly because of an old bench warrant after he failed to appear in court for a 2008 misdemeanor charge of vandalism. Saucedo said he appeared before a judge in Los Angeles County Superior Court and was released on probation. But as he was leaving the courthouse, he said, two ICE agents approached him in the hallway. “They asked if I was Sergio Saucedo, and they said I had to go with them,” remembered Saucedo, as he sat hunched on a folding chair at the Casa del Migrante shelter. He said he worried for his wife and two kids, ages 7 and 15, in Southern California. Saucedo and others like him are in mourning, said Beatriz Barrera, a psychologist at the shelter. She said the first week of deportation can be especially stressful for people who lived in the U.S. for decades. Shelter staff help residents get new Mexican ID cards and find work, so they can begin to move on with their lives. But equally important are the shelter’s counseling sessions and weekly meditation workshops to manage stress and depression. She said she’ll often ask participants to raise their hand if they feel stressed and lonely. Many do. Another man coping with a recent deportation at the shelter was Ricardo Padron. It was his 43rd birthday, but Padron said there was little to celebrate after his arrest by U.S. immigration authorities a week before in Richmond, California. “I lost everything,” said Padron, a father of two. “Now I’m here in Tijuana and I don’t know what to do." Padron said he arrived in the U.S. on a temporary visa 21 years ago, but overstayed. He worked under the table as a landscaper and DJ in the San Francisco Bay Area. He got married and started a family. In July, Padron was convicted of a misdemeanor for drug possession. After he spent 10 days at the West County Detention Facility in Richmond, a judge released him on probation, according to court records. But just as happened to Saucedo in a courthouse, two ICE agents approached Padron as he was about to leave the jail, he said. "They knew who I was. So they say ‘Mr. Padron, could you give me a minute?’" he said. Immigration agents have long made most of their arrests at jails and prisons. But during the Obama administration, enforcement became focused on national security threats, recent border crossers and serious criminals. Last year, California passed a landmark sanctuary law to protect non-violent, low-level offenders like Padron from the Trump administration’s aggressive immigration enforcement. Many sheriffs opposed the law, arguing it would shield criminals. And several sheriffs began making public all inmate release dates after its passage, including in Contra Costa, the county where Padron was arrested. Richard Rocha, a spokesman for ICE, declined to comment on how the agency tracked Padron. But he said ICE uses multiple sources. “We use a variety of law enforcement databases and others provided to us to identify individuals that may be subject for arrest,” said Rocha. During dinner time at the Tijuana shelter, Padron volunteered to say grace before dozens of men sitting at long wooden tables. After the prayer, forks clinked on plates filled with beans and rice, and chatter filled the room. Padron said he would probably move to Mexico City, where he grew up. “I’m going to start a new life here, because I'm not going back. I don't have a chance to fix my situation and I don't want to cross illegally,” said Padron. He said he hopes his two U.S.-born children, ages 8 and 10, will be able to visit him for Christmas. After dinner, a 24-year-old Guatemalan with a different migration story leaned against a wall near the shelter’s front gate. Luna Guzman was also deported from California this year, but unlike Saucedo and Padron, her only experience of living in the U.S. was inside detention centers. Guzman, who identifies as transgender, was raised as a boy in a town north of Guatemala’s capital. She said she suffered death threats and heavy discrimination because of her gender identity. 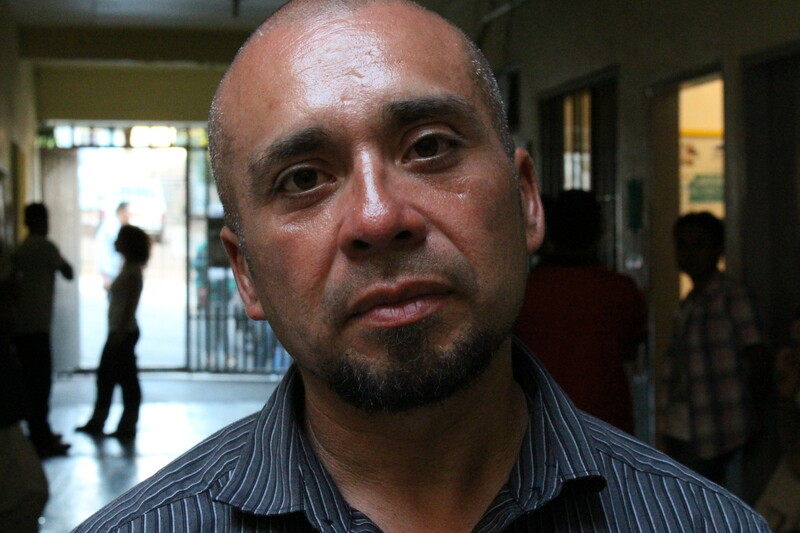 Guzman fled north, and described a treacherous journey across Mexico, riding atop cargo trains. She said she arrived in Tijuana and, in August 2017, walked up to U.S. border authorities and sought asylum. She was placed in ICE custody to await a hearing in immigration court, she said. Asylum seekers like Guzman can often win protection if they are represented by an attorney, said Elizabeth Camarena, an associate director with Casa Cornelia Law Center in San Diego. But Guzman, like most immigration detainees, did not have an attorney. She said a friend she made at the detention center helped her fill out her asylum application. An immigration judge set a $25,000 bond, but Guzman couldn’t pay, so she remained in ICE detention for eight months, where other detainees beat her up, she said. In his first month as president, Trump ordered immigration authorities to keep asylum applicants and others arrested at the border in detention. Previously, people seeking asylum could be released into the U.S. and monitored as they awaited interviews or court dates. But Trump officials argue that release encourages fraud, and current rates of detention are unprecedented. San Diego attorney Camarena said many of her clients have given up valid asylum claims just to get out of ICE detention. Guzman said that in April 2018, Immigration Judge Olga Attia denied her asylum claim, saying she hadn’t presented enough evidence. Guzman became one of the 19,219 asylum seekers whose claims were rejected in the first six months of 2018, more than in any year in the last decade, according to Justice Department figures. Guzman could have appealed, but she said the judge told her she would have to remain locked up for another year and a half. Guzman said she couldn’t bear that prospect, so she signed her deportation to Guatemala. Back home, discrimination and threats continued, she said, so she made the arduous journey to the U.S. border once again. Resting at the Tijuana shelter, after a day’s work sorting trash at a recycling center, Guzman said she still hopes for protection across the border in the U.S. But she said she would only try applying if she could find legal help. While she figures out her next steps, the recycling job offers Guzman a little stability. Other deportees at the Casa del Migrante have also found work quickly and, with it, a glimmer of hope. In recent years, Tijuana has become home, at least temporarily, to thousands of nationals from countries like Haiti and India who are hoping to eventually emigrate to the U.S., said Bernabe Esquer Peraza who head’s Tijuana’s economic development agency. Some deported Mexicans are also settling there, to stay close to relatives in California. The city is struggling with a resurgence in drug-related violence, but Tijuana’s economy seems increasingly able to absorb new workers. “We have a lot of industry,” said Esquer Peraza. “We build a lot of medical devices, televisions, we build Toyotas that sell around the world.” He said his agency has 8,000 job openings listed. Tijuana has attracted more than $5.6 billion in global investment since 2012 and employment in global companies has grown steadily in the city, according to a 2017 report by the non-profit San Diego Regional Economic Development Corporation. And the city is in the midst of a building boom. “A lot of people that get deported, they have construction experience," Esquer Peraza said. "They can work immediately." Sergio Saucedo said that three days after his deportation, he found work as cook at a casino in downtown Tijuana. He believes he was hired because of his 10 years of experience cooking for restaurants in the Los Angeles area. His first priority, he said, will be to save money to buy a cell phone so he can call his two children in the U.S.
“I know there’s still a chance to move forward,” Saucedo said.